Pat Gibson is an artist, art educator and currently Curator of Exhibitions at the Ingersoll Creative Arts Centre, since 1982. She is co-founder/ co-curator of Oxford County Art Project : Art in Public Spaces. 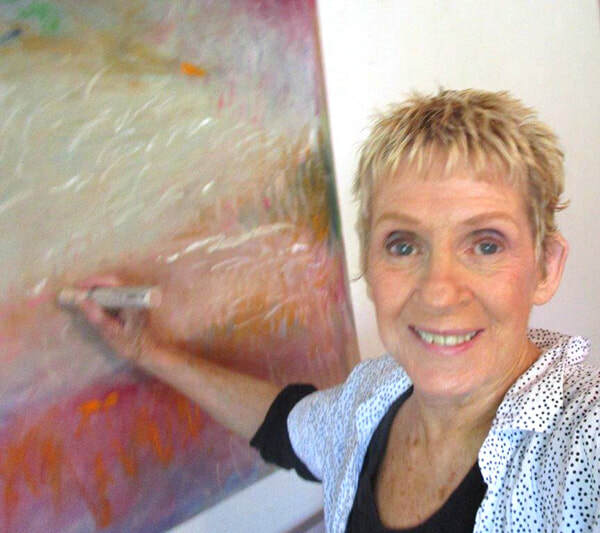 Gibson has exhibited her mixed media work in numerous solo and group exhibitions throughout Ontario. Her work is in public and private collections throughout Canada and the USA. "I have a strong feeling that just beyond our senses there is something magical about life, something very subtle yet powerful. My work has become a search for that mysterious part of myself and my world. My drawings and paintings continue to evolve and emerge from the multiple layers of marks scribbles and scratchings that celebrate and mirror the connection with the self and the natural elements."